Bosnia and Herzegovina's Foreign Trade and Economic Relations Minister Mirko Šarović and Serbia's Minister of Trade, Tourism and Telecommunications Rasim Ljajic will boycott the CEFTA's next meeting in a sign of protest. 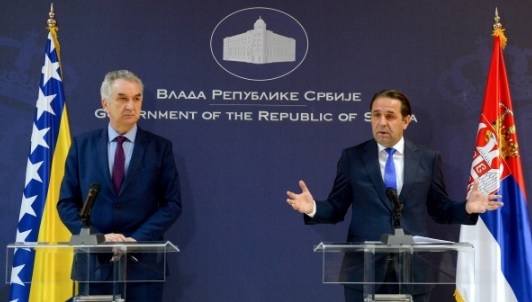 This is because both ministers consider that Kosovo's decision to impose taxes on Serbian and Bosnian products risks further functioning of the organization. In addition to boycotting the CEFTA meeting, the two ministers will not attend the meeting of ministers to be held in Pristina next month. The boycott will remain in force until CEFTA abolishes the decision of Kosovo. Sarovic and Ljajic met yesterday in Sarajevo, where they spoke about the next steps towards Kosovo's decision.